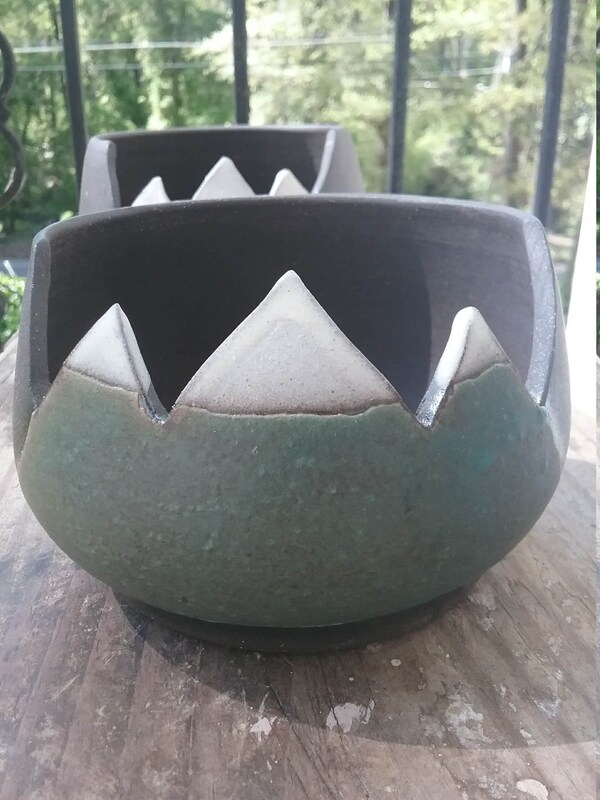 I make these ceramic yarn bowls by hand on a potter's wheel. They are perfect for beautifully storing and displaying your yarn on a coffee-table or any place! 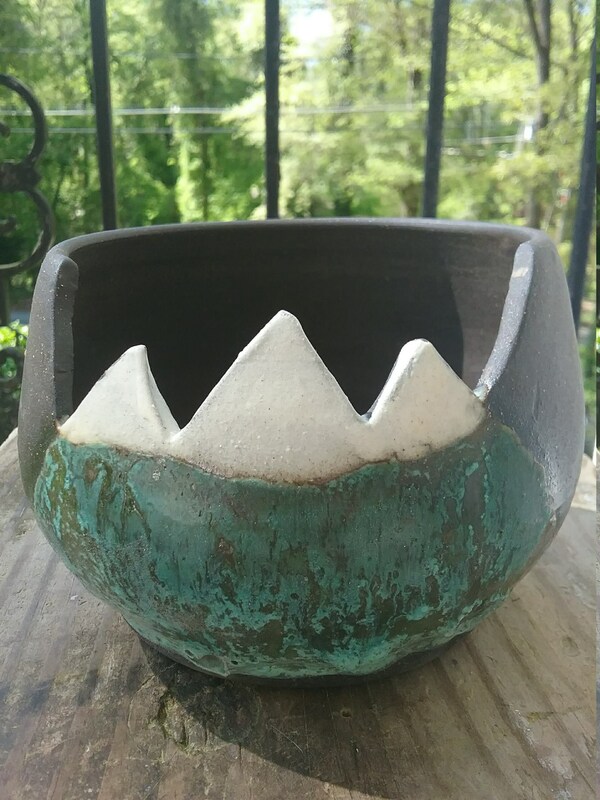 This one features a carved and glazed mountain range to hold the yarn that you are pulling for your project as well as your needles when you are finished knitting. I am a knitter as well- and so design these with knitters in mind! I soften the edges of the swirl to prevent snagging your yarn. You can lift the yarn right out of the swirl when you want to take your project with you. 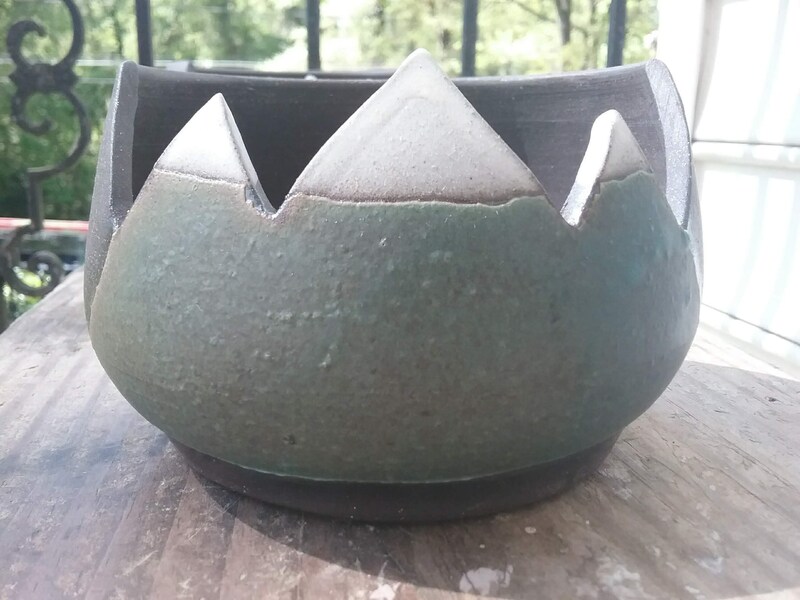 Each bowl is handmade by me and unique. 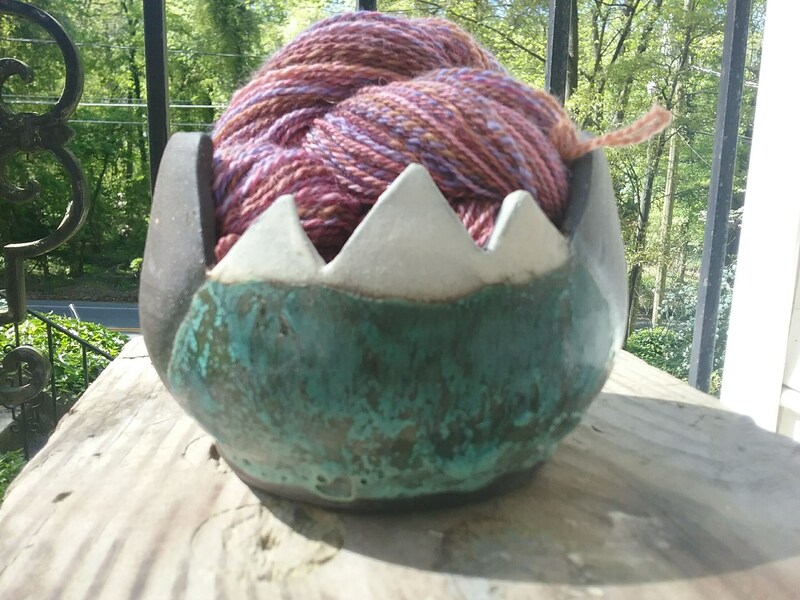 Bowls are pictured holding a 4 oz skein of yarn. 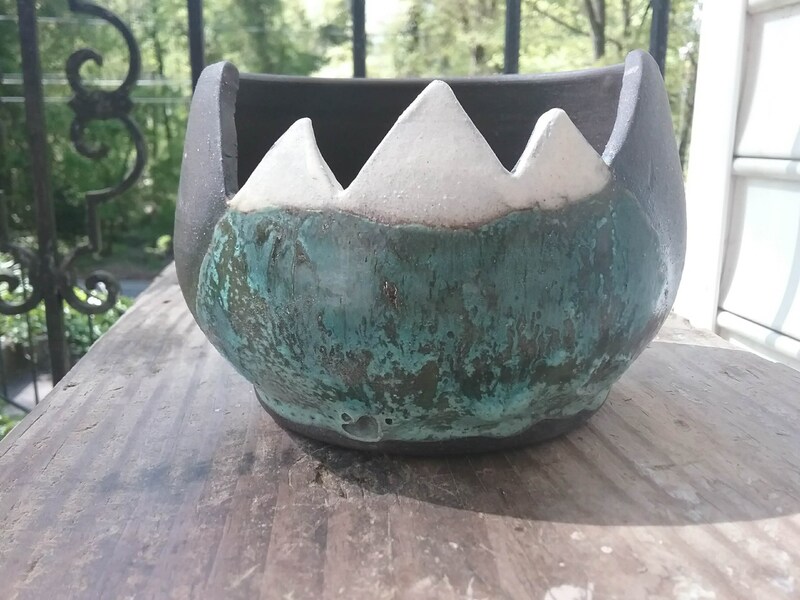 The bowls hold about 2-2.5 cups of liquid and weigh about 2 pounds.